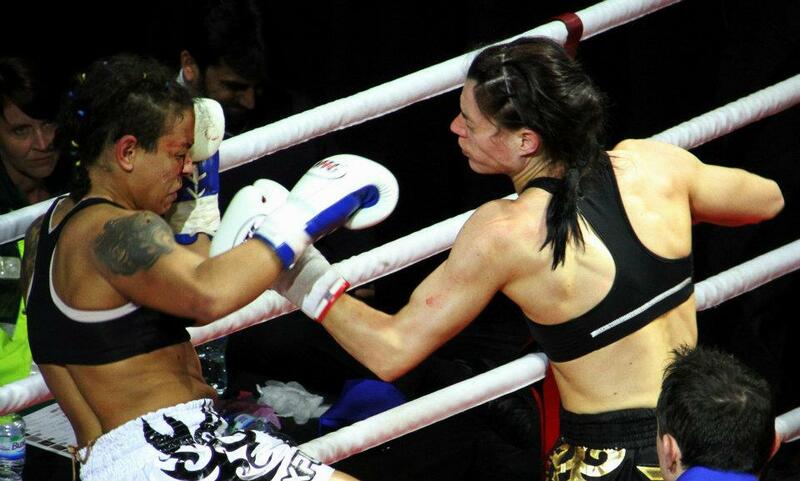 Amanda Kelly talks training, fights, and preparation for her upcoming bout with Julie Kitchen. I was told that Amanda Kelly does not particularly like to talk about herself. Which might explain why—aside from an article by Patrick Lennon for the Daily Star—there is a relative lack of interview material on the modest Scotswoman. Her record, however, speaks for itself. With 30 wins and one draw from 32 professional fights, and the 59kg WMC (MAD) and 59kg ISKA world titles, Amanda has quietly gained recognition since her introduction to Muay Thai in 2007, and is widely regarded as one of the most competent female fighters on the circuit. Training out of KO Muay Thai Gym in East London under the tutelage of Bill Judd, Amanda is currently in preparation for the most high profile fight of her career, in which she takes on 14 times world champion Julie Kitchen on the Muay Thai in America promotion in Playa Vista, California on 1st December. 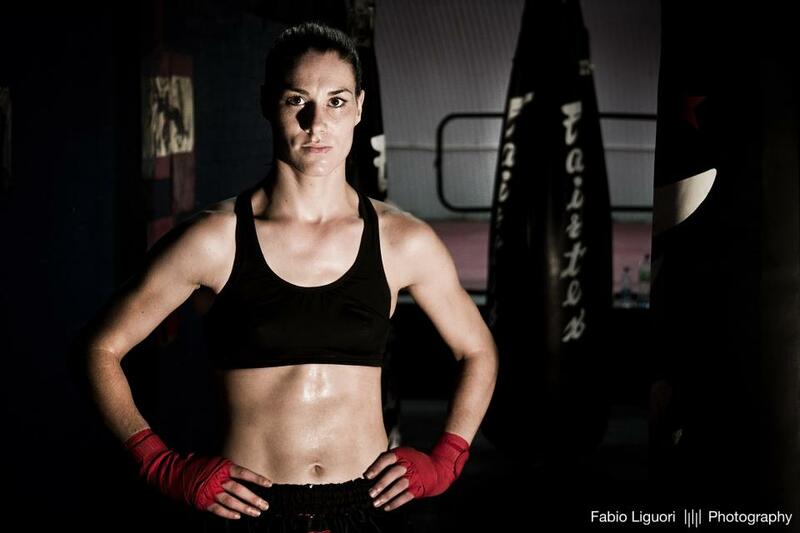 So, I was lucky to be granted the opportunity to ask her a few questions on her Muay Thai background, achievements and inspirations, as well as her training for one of the most anticipated women’s bouts of this year. How many years have you been training Muay Thai? I understand you had a previous martial arts background in various disciplines. What prompted you to change to Muay Thai? I’ve been doing Muay Thai for around 5 years. After training in various martial arts, I still had never competed. I was told by my karate instructor that I would be suited to Muay Thai as my stance was very upright compared to others in the group. I decided to try out Muay Thai with the view to competing. Where do you originally hail from in Scotland and what took you to East London? How long have you been based there? I come from a small village outside of Inverness called Drumnadrochit. I studied and worked in Scotland, but while working I didn’t get the time I wanted to train and compete. I felt that if I moved to London to train it would be the best place to be. When I moved to East London KO Muay Thai was the first gym I tried—I loved it. I loved the atmosphere and never tried anywhere else. I’ve been there 5 years. What is your “day job” and do you find it hard juggling work and training? What’s your typical schedule? When I moved to London I was working in architecture and it was difficult to balance training and fighting. Then 3-4 years ago I was made redundant, which gave me the opportunity that I wanted to study to be a personal trainer. The personal training is great and it allows me to work around my training schedule! Typically I get up in the morning and start at the gym. I’ll do running, technique or padwork. At lunchtime I will train clients. Then in the afternoon I’ll spar or do bagwork and conditioning. In the evening I again do personal training. You’ve fought some high calibre opponents such as Joanna Jędrzejczyk, Claire Haigh, Chantal Ughi, Rachida Hilali and Mikaela Melante. Which of your previous fights would you say was the toughest? For me Rachida Hilali was probably the toughest, I had a lot of personal things going on at the time and it taught me a lot about mental strength. She came out looking to knock me out from the bell and we had a war. The feedback from that fight was awesome—people didn’t expect two girls to go at it like that. The fight with Joanna Jędrzejczyk was also a tough fight. She is extremely quick and has good boxing skills and is very evasive. I had to adapt to a quicker pace than I was used to and try to be as explosive as possible to track her down. What do you think has been your greatest achievement in Muay Thai so far? Although I have achieved a lot in a short space of time, I don’t feel anything sticks out for me as my greatest achievement. I’m a perfectionist—it drives my coach mad. But I feel as well as it being a bit of a negative thing it is also positive, and is the thing that pushes to do more within the sport. Each fight I always feel there is a lot more I can work on, I’m very tough on myself. But always having things to work on is what makes Muay Thai so challenging. I like girls such as Lucia Rijker and Germaine De Randamie. They are good solid fighters. I love their attitude in the ring—nothing fazes them and they go in there looking to get the job done. What aspect of Muay Thai do you like the most and the least? For me I both like and am not so keen on the technical sessions. Sometimes it can be very mentally tiring and frustrating. But learning something new is extremely rewarding and makes a huge difference when you go out to fight. Have you had much opportunity to train and fight overseas? Last year I went to Thailand for 4 months and trained and fought out of Rob Cox’s gym Kiatphontip. It was a really good experience and taught me so much about Muay Thai and the culture. I have also travelled to IFMA events in Latvia, Thailand and Greece. I would like to fight overseas more and hopefully more opportunities will come along. On 1st December you will fight Julie Kitchen on the Muay Thai in America fight card in California, in honour of the 85th birthday of the King of Thailand. Have you approached the training for this fight any differently to previous bouts with other opponents? For this fight my training has been much the same as for my other fight build-ups. We have worked on my fitness and technique. The technical sessions at KO Gym change constantly and I feel that this helps us evolve as fighters. Hopefully this will show on the day! I will be fighting at the end of March on the Enfusion Live event at the O2 in London against Ilona Wijmans from Holland. I’ll continue to fight as often as possible. I’d like to fight Miriam Nakamoto—there have been discussions but nothing has worked out yet. While an Amanda vs. Miriam match-up is certainly a mouthwatering prospect, the fight with Julie is the one Amanda’s fans have been most eager to watch for some time. Whatever the outcome, the bout will surely provide excellent representation of the high standard of women’s Muay Thai, both in the UK and worldwide. I wish Amanda the best of luck for the fight and predict another phenomenal year for her in 2013. For information on personal training with Amanda visit her site here. Great interview, and an outstanding video there at the end. Amanda looks seriously badass and I would love to see her fight. Best to her with Julie! Update: Amanda defeated Julie Kitchen on points (split decision).